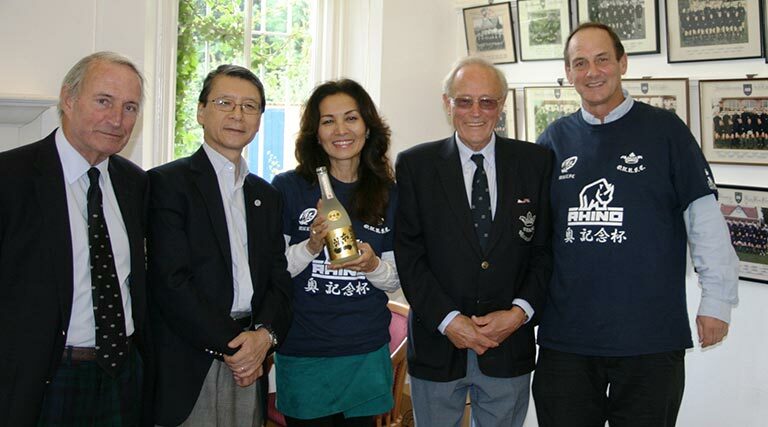 In this memorable year of England hosting the Rugby World Cup 2015, the 11th Oku Memorial Rugby Tournament took place at Oxford University in memory of Ambassador Katsuhiko Oku. The ambassador was a passionate diplomat and devoted his energy to the reconstruction of Iraq, but was tragically killed while on tour in November 2003. He was not only a dedicated diplomat who worked hard for his country and the world, but also one who made an invaluable contribution to rugby in Japan, particularly in relation to Japan’s bid to host the Rugby World Cup in 2019. 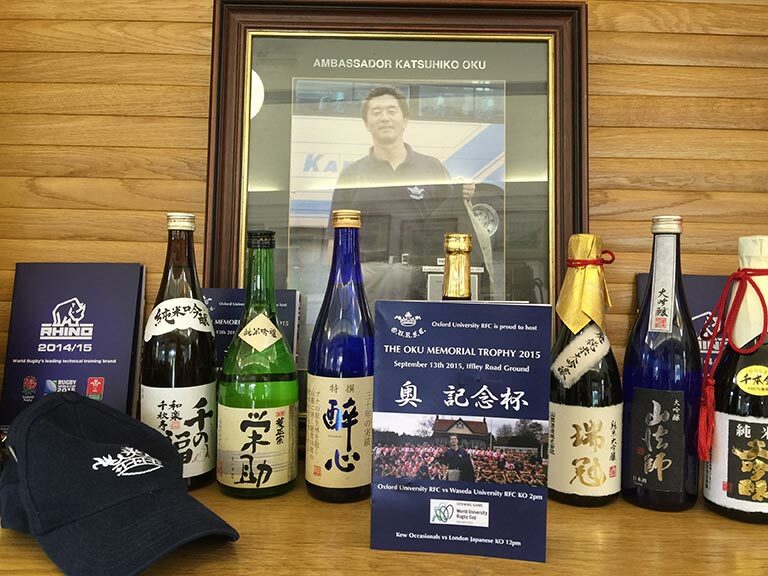 Together with his friends and colleagues from both Japan and the UK, Sake Samurai is honoured to support the Oku Cup, and to keep the torch burning for Ambassador Oku and for his never ending passion to bridge two countries through friendship. 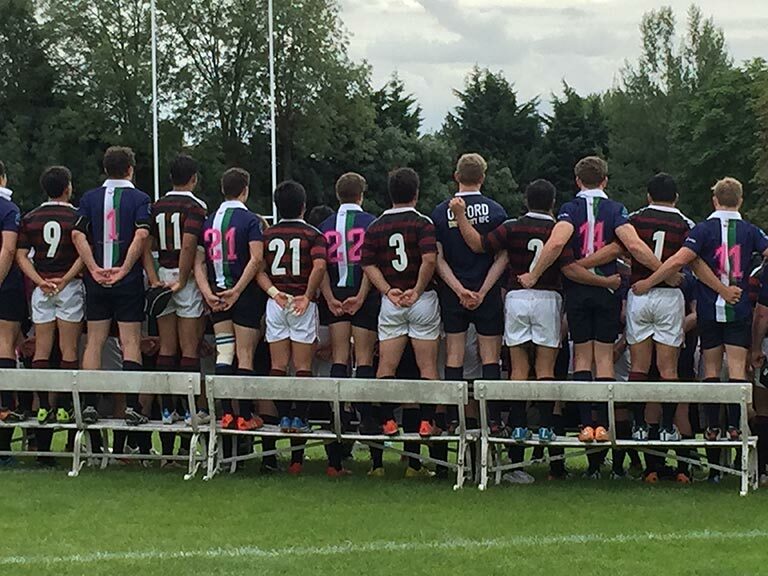 This year, four teams of London Japanese, Kew Occasionals, Oxford and Waseda University alumni from Japan played at the Oxford University RFC where Ambassador Oku held membership. 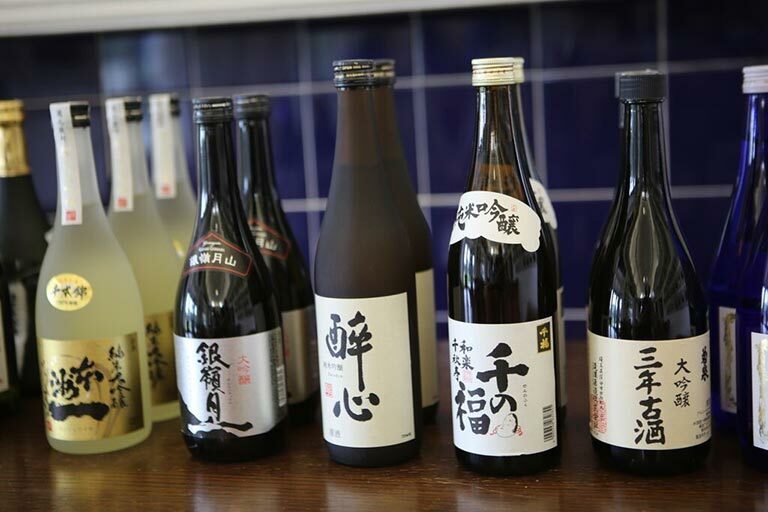 After the match, all players and spectators gathered in the clubhouse for a reception over sake and drinks. 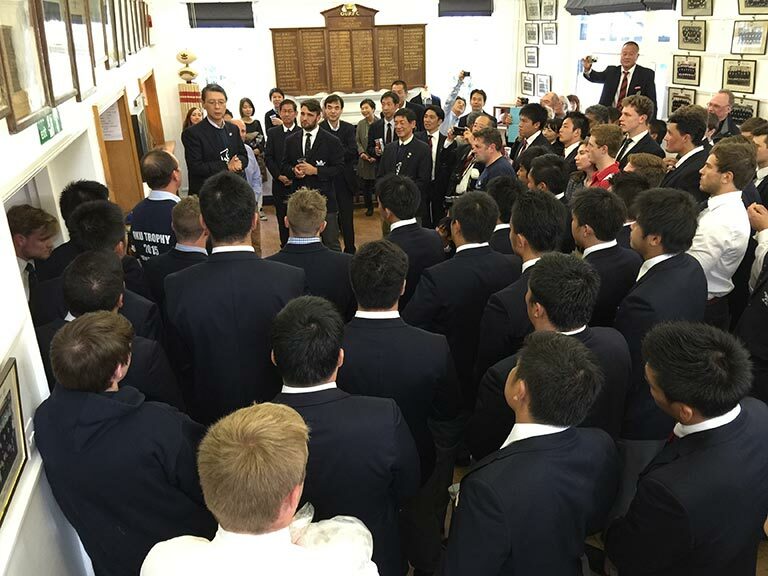 This event has been tirelessly administrated for over 10 years by Ambassador Oku’s closest friend, Reg Clark, CEO of Rhino Rugby, and always supported by the Japanese Ambassador, Keiichi Hayashi and his team. 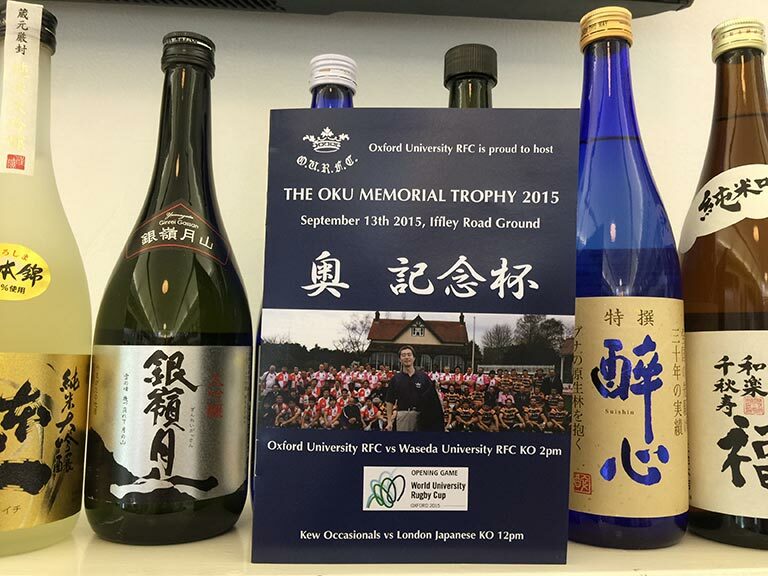 The trophy presented at the Oku Memorial Tournament is engraved with a special message from Mr Yoshinori Mori, former prime Minister of Japan; ‘ May Japan and the United Kingdom, through the game of rugby and the will of Mr Katsuhiko Oku, forge a finely-woven relationship toward the future’.